More Disruptions Comes this Way! February 2019 USA Horoscope! You’ll want to mark your calendars for the following dates! February 1st ~ Pluto & Mars Square off! February 2nd ~ Venus & Uranus Fire Trine! February 10th ~ Mercury goes into the sign of Pisces! February 13th ~ Mars & Uranus in Aries Conjunct! February 14th ~ Happy Valentine’s Day! February 14th/15th, ~ Mars goes into the sign of Taurus! February 19th ~ Supermoon in Virgo! February 19th ~ Mercury & Neptune Conjunct! February 19th ~ Mercury & Saturn Sextile! February 27th ~ Sun & Mars Sextile! With Mars & Pluto squaring off we have quite the power coming at us! Pluto is in the USA 2nd house, Mars in the 4th, mega power struggles, hot tempers, along with the Stock Market declining, housing declines, agriculture, having further decline also. Also look for stormy weather. On a personal level, it makes sense to keep your cool, if you find you have a beef with someone or thing, let Karma take care of it! This square will happen again in November 2019! I’m seeing prosperity for the people on this day! Enjoy! February 3rd/4th ~ Venus goes into the sign of Capricorn! Venus does not feel warm & fuzzy in Capricorn, but this energy will put more focus on what needs to be done regarding finances, & relationships. Time to get down to business! February 4th/5th, ~ New Moon in Aquarius! The New Moon will be in the USA 2nd house of finance at 15 degrees Aquarius. Uranus rules Aquarius, Saturn co-rules, on the cusp is Saturn. Saturn will go into the 2nd house for a short time then back into the 1st, then back to the 2nd, each time Saturn visits the (or on cusp) USA 2nd house of how the USA Makes money, things will get tight, rules will be followed, it’s a time to tighten the money belt. If the USA learns this, we all will be better off in the long run! Look for stocks, revenue, banks, as well as commercial affairs & trade to be disrupted. Expect great fluctuation in this area. Something new will prevail in a years’ time, but until that actually transpires, it’s best to watch your own money & resources! The Aquarius New Moon will bring more cold temps with it as well as crazy weather! On a more personal level, I see new groups of people coming into the mix, that think outside the box. And always note, on the date of a new moon do not begin anything new until about a week after, why? Because when a New Moon occurs it’s always dark, anything one starts in the dark will remain in the dark. It’s serious business when it comes to the moon make no mistake about it! Mercury is in its detriment in Pisces. It does not function well in this sign. But on a positive note look for your psychic, more visionary side to come out! But remember to think with reason not emotion as that will lead one to disaster at this time! February 12th/13th ~ Mars & Uranus in Aries Conjunct! USA 4th house! Yikes!! This will be the last time this happens with Uranus in Aries! It takes Uranus 84 years to go around the zodiac spending approximately 7 to 8 years in each sign! I’m seeing an explosive time with uprising, violence, as this is coming up against a Supermoon on Feb 19th, Uranus is unpredictable, Mars is energy, war, hot tempers. Stay under the radar, lay low, look for a downturn in housing, mining, land, also explosives related to buildings to come about. Uranus in the USA 4th house is not ideal for government. February 14th ~ Happy Valentines Day! Mars in Taurus is a Detriment. Mars energy does not mix well with Taurus. Although Mars is made to be patient, & persistent, but extreme stubbornness, & jealous, along with possessive comes into play. Mars will be in the USA 5th house of children, education, birthrate, schools, theatres, places of amusement. With Mars in the sign of Taurus look for penny-pinching in those areas. Spiritual / New Age Your destiny revealed? 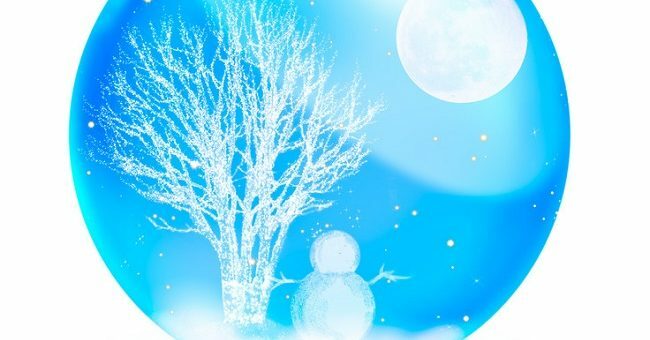 February 19th ~ Snow Moon Supermoon in Virgo! In the USA 9th house! Virgo is an earth sign, and this Supermoon will be the second one at zero degrees! As usual, this will begin about a week prior. I see much ice, rain, cold, terrible bad weather. There will be disruption in the courts. Legal matters, shipping, trade, always stay safe & be on guard, plan accordingly. Someone who is a known writer will pass. Much agitation will come with employees. Crime & fraud will come to light. Intuitive thinking is possible during this meetup! New regulations will be brought forth! February 22nd ~ Venus & Pluto conjunct in the USA 2nd house of Finance! For the next couple days do expect a downturn in the stock market, revenues declining. But do remember something so much better is coming in!! Just not yet! This will bring unfortunate for revenue related to the 5th house matters. But later that same day all 5thhouse matters will prevail in a good way! The 5thhouse is the house of children, anything that is associated with amusement! On March 6th, 2019 Uranus will go into the sign of Taurus & stay! No more going back & forth from Aries to Taurus! This will be in the USA 5th house! I’m not seeing any huge issues going on at this time, but stay tuned because, on March 20th, we have another Supermoon at zero degrees of Libra on the USA 10thhouse cusp! This will be the last of the Supermoons at zero degrees! Could it be finally something new has arrived? Possibly!! I wanted to share with you a gem I stumbled on! I’ve tried it myself! It’s the real deal & I’m putting my name on the line regarding it! It’s a Destiny Revealed Report for a fraction of the cost of what I charge for my Blueprint report (Also your destiny) that I myself record & send to you on an MP3, which is a time involved process! This Destiny Revealed is a diamond in the rough & the cost is $7! I make a small amount off the price! Trust me you’re going to want this! click on: Destiny Revealed Get it Here! That link will take you to my website to learn more about this Gem!! Pisces September 2016 Horoscope Predictions Forecast! Big Changes Pisces! Solar Eclipse with a Wicked Twist! Aries Predictions Horoscope July 2016! Money Spell! Gemini Tarot Readings Predictions! September 2016! Business Flourish! Lots of Money! Next story Finding Your True Calling… And Getting Paid To Do It! Previous story Astrology and Relationships, Finding your Mate! Moon 06° Capricorn 48' 47"